I signed up for NaNoWriMo. In case you haven’t seen it, that’s a mashup of National Novel Writing Month, and it’s a thing among some writers (usually the ambitious ones). The idea is to write like a maniac for 30 days. And you “win” if you get 50,000 words written. But damn, that’s a lot of words. If you do the math — and this is one time when writers will — it works out to 1,667 words a day. That’s about seven pages a day, for 30 straight days. I don’t expect to “win.” I’ve got a full-time job, as well as a part-time job as a dad/husband/dish-doer/errand-runner/math-homework-helper. Also, I’ve tried not sleeping. It hasn’t worked out too well. I’d also like have my wife not divorce me. So why go through all the trouble? Because it’s there! Also because I’ve been dipping my toe in a new project, and this gives me the institutional excuse to dive into the deep end. And because the things I regret are usually things I said no to. So, starting in 90 minutes, it’s November. And I’ll be cranking. PS – You can see my progress on the widget on the right (because I know you have nothing better to do). And should it come to pass, I expect the widget will also show my lack of progress. If you want to know more, check out their site. 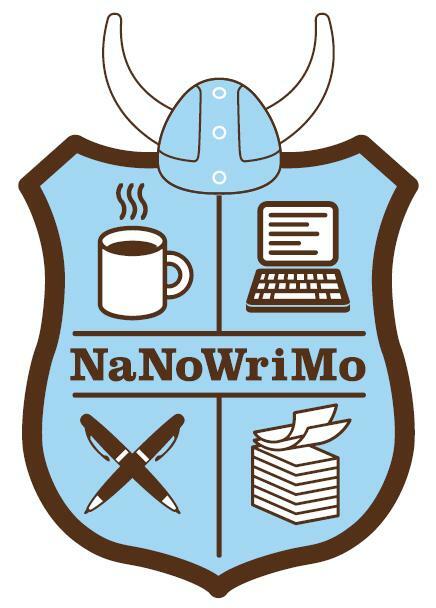 Or Nathan Bransford’s post about NaNoWriMo resources.